All drawers have 100% roller bearing slides for ease of action under full loads, allowing easy access to the entire drawer. Drawers have strong 60 kg capacity on both 175mm and 100mm sizes. The scuff-resistant steel shelving has a 60 kg capacity. 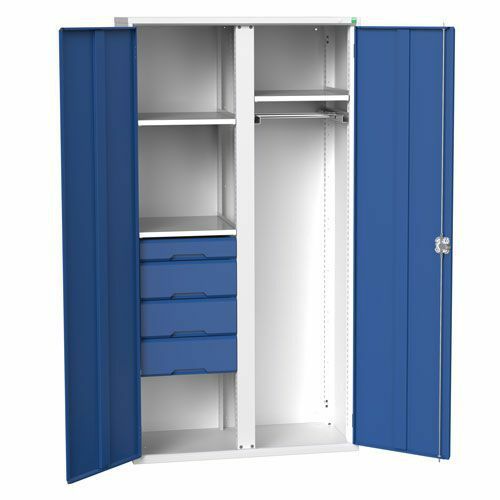 Resilient steel multi-shelf/drawer cupboard with mid-partition, perfect for PPE storage.